I refuse to lose so you might as well leave. I’ll stay up all night if it means through Christ there will be victory. I’m going to war, give me your best. Oh wait, is that all you got? Your old tricks won’t work on me anymore, I know them now. I’m calling you out, I won’t be fooled by your schemes. You had me once before, but thankfully not anymore. But I know that “one time” turns into two, three, four then eventually an addiction. I refuse to go back to that place, so I will fight. I will get feisty with you Satan. Go ahead, throw your temptations at me! Give me the best you got. I laugh at the thought of you, for my Savior and King has defeated you! I got my armor of God and it’s ready for use. So throw your best stuff at me, taunt me with my past. Your lies don’t hurt me because my King has got my back. My armor protects me from all that junk. I’m getting feisty with you tonight. I wrote this because I wanted to communicate how Satan lies and deceives. I don’t have an addiction. It has been over a year since my last post. Why? Because I’ve been afraid to post. I’ve been ashamed to admit where I’ve been- In a place of dryness (I will hit more on being ashamed later). Over the past year, I’ve been walking with the Lord and many a times its seemed like I was in a desert. This dryness looks like me feeling like God is distant. Walking with God over the past year hasn’t been easy. It’s looked like me battling with depression, frustration and confusion. I’m still following God through dryness. I learned that everyone goes through dry periods and that feeling this way doesn’t mean that I am doing anything wrong or that God isn’t pleased with me. I don’t need to be ashamed of where I am at. 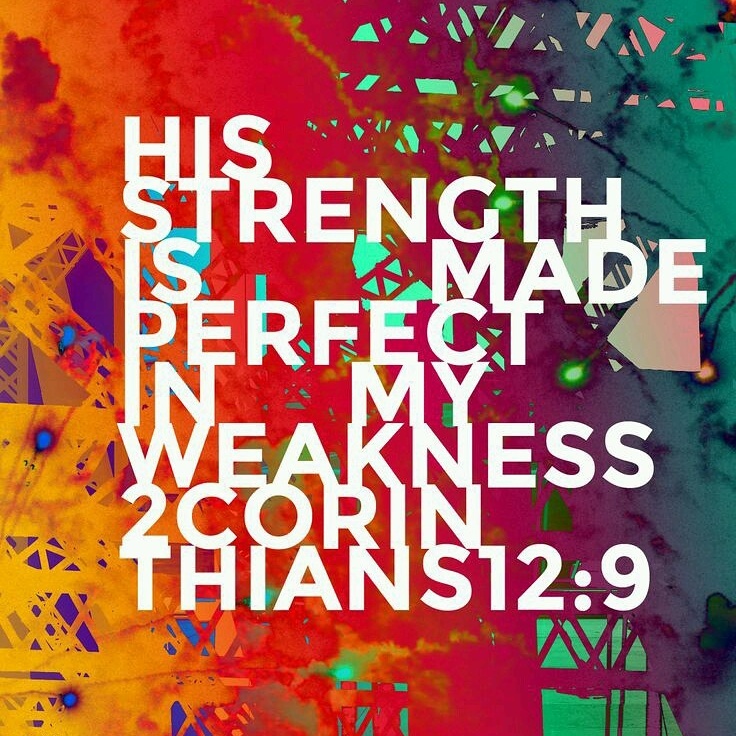 Christ is made perfect in my weaknesses and that is something to boast about! God’s promises have sustained me over the past year. In His Word I am reminded of His promise to never leave me. Although God feels distant, He has never left me! Satan loves to whisper lies. But bro and sisters..Don’t let him whisper lies to you! Call out those lies! Get feisty with satan, get feisty with sin! Don’t let them have a hold on you! Whether I am “feeling” God or not, His promises are still true, His character is still the same, His love for me is still everlasting! This dryness will end. If not in this life, we can have confidence that dryness will be a thing of the past when we finally meet Jesus. Push on sisters and brothers..push on! The satisfaction that comes from the knowing the Lord is far greater than any earthly satisfaction you could ever imagine. It is in Christ that I understand the word “joy”. This joy is something that I receive from Him and oh how sweet it is! It’s this out-of-this-world feeling of pure and true satisfaction and absolute peace. What an amazing, unwarranted, beautiful gift we have in Christ Jesus. Sometimes I get caught up in the logistics of everything. I forget about God, but instead focus on man’s interpretation, whether this be the right way to view a passage of scripture or figuring out the right type of theology to follow. I get so caught up I forge the most important thing: God. What about God? I specifically forget His grace. His beautiful and undeserved grace. Tonight I was reminded of His great grace for me. In our nit-picky society, it is so easy to get so zoomed in on a particular passage of scripture that you forget what really matters in the end. Grace. Ultimately, all that matter’s is that I am His. For forever. And Eternity. When I think about my relationship with God, I am drawn to the unexplainable joy that I have. The hope I have. The strength I have. The life I have. It’s His, but given to me. How could this be? How could I, a horrible sinner, receive such grace! Hallelujah, what a Savior! He revealed to me my identity in Christ. In Christ, I am able to be those things because when He looks at me He doesn’t see my yucky and dirty sins, but instead sees His perfect and spotless Son, who sacrificed Himself for ME. My mind can’t comprehend His love for me. And I will never be able to, but that’s what makes it so amazing. Until Christ revealed Himself to me I understand how valuable I was. I didn’t understand my worth. I couldn’t see that He really did care! I had no idea that He has more thoughts for me than all the grains of sand on all the beaches in the world (Psalm 139:17-18). I had no idea that He knows every hair on my head (Matthew 10:30). I had no idea that He made me in HIS image (Genesis 1:27)! He chose me. Me. He designed me PERFECTLY, because I am in His image. He knows me intimately. Man guys. I am just saying, but this stuff rocks my world. God rocks my world! Over the summer I came upon Psalm 143:10, “Teach me to do you will, for you are my God; may your good spirit lead me on level ground.” I had been struggling to accept God’s will as my own. I didn’t know how. I needed Him to change me. This verse was perfect. I had no idea that I could ask the Lord to “teach me” His will! What a wonderful and powerful thing! I love how God KNOWS my heart. He has prepared this verse for me (and you). Praying this verse has become a habit for me because I no longer desire my will, but His. I know His will for my life is perfect, whether that means I go through hardship or happy days, He knows what is best for me and what will bring Him the most glory. I am thankful to have a King who knows what is best for me. I am thankful for times of hardship, times of weeping, times of sadness, because ultimately He knows that will bring me closer to Him than anything else. My Savior knows what is best for me. I am thankful for that this morning. I am trusting in Him today.